1. Please assist in keeping the nightly rates low by turning off the air conditioners, lights, and fans when leaving the property or when not in use. 2. Please note no other guests are allowed to stay the night unless the extra guest fee is paid. ***If you wish for a child to be the 3rd or 4th guest, cost is 6-12 years old- $15 per night and 13-17 years old - $20 per night. 3. NO indoor smoking allowed; only outside on the balcony, on the Roof Terrace or elsewhere outside. We give our guests space to enjoy their vacation their way, but are at a moment notice when needed. It is our absolute pleasure to recommend things to do, places to visit, shop or our favorite church, restaurants, fast-food take-out, bar and grill, nighttime hotspots, and other things of interest to do and see. Many thanks for taking the time out to provide us with your review Jim. It was an absolute pleasure to host you and your family, and we look forward to seeing you in the future. 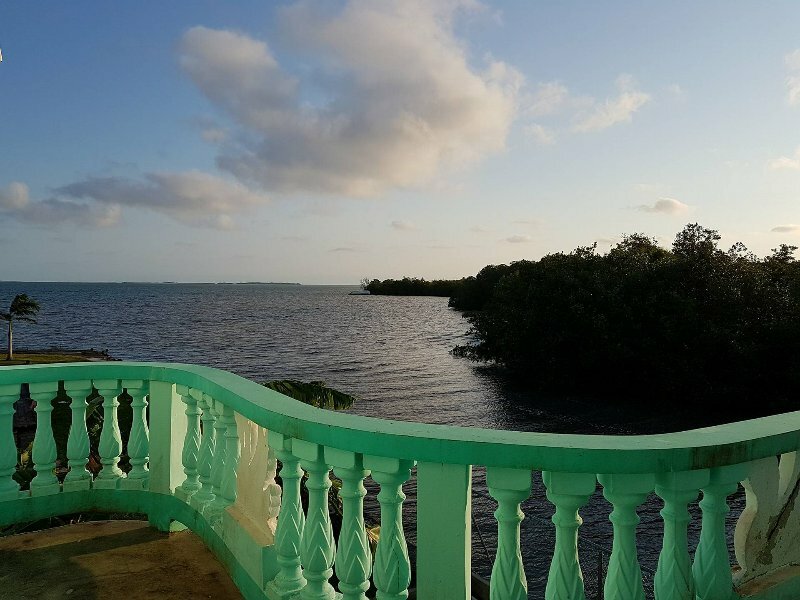 On the outskirts of Belize City near the historic Haulover Bridge. The property sits on a private estate with only 1 other household on the estate. 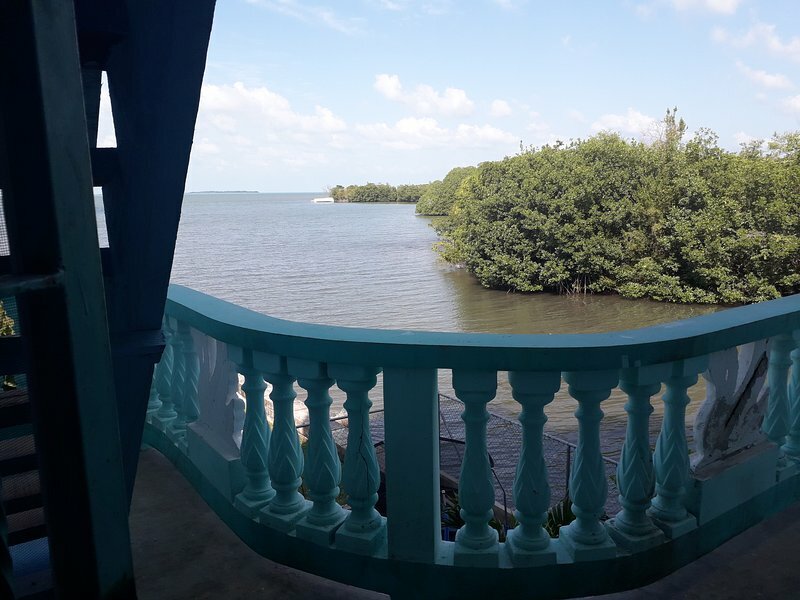 The vacation rental is on the edge of the Caribbean Sea, and the Belize River is 100 yards away. Free secure parking is available on site. Regular public bus transportation is available to and from downtown Belize City for less than 1$ each way and passes the property on a regular basis (around 30 minutes apart) between 5 am to 8 pm daily. 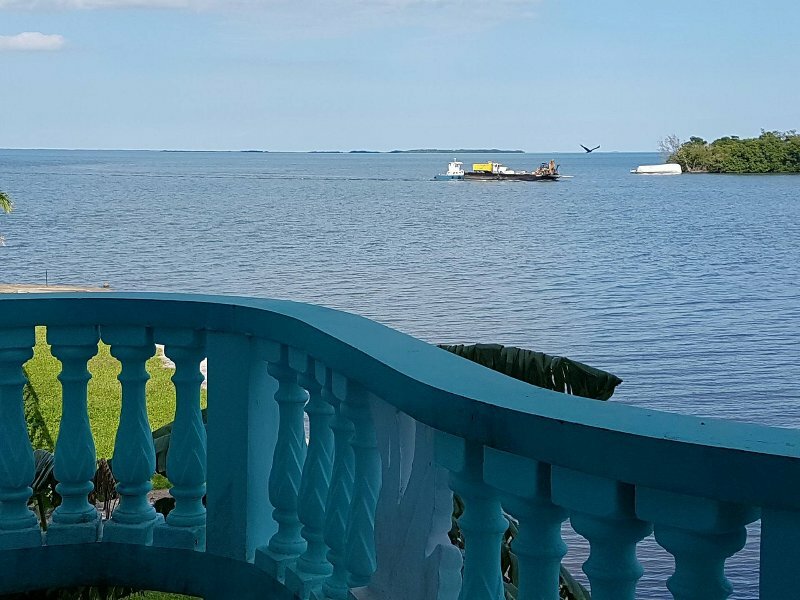 See Belize Vacation Rental also provides a dedicated transportation service at $2 per mile to/from the Airport, around the City or elsewhere.